Kaos has blown up the walls of the feared Cloudcracker Prison freeing the most notorious villains in Skylands. 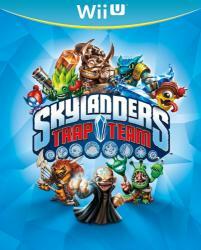 It�s up to you and the Skylanders to find and capture them. Using Traptanium, a magic material that can harness the power of the Elements , you have the amazing ability to trap the villains and return them to Skylands to fight for you! Begin the ultimate adventure as you explore Skylands in search of the escaped villains!